A view of the 28th Street Bridge, looking south. 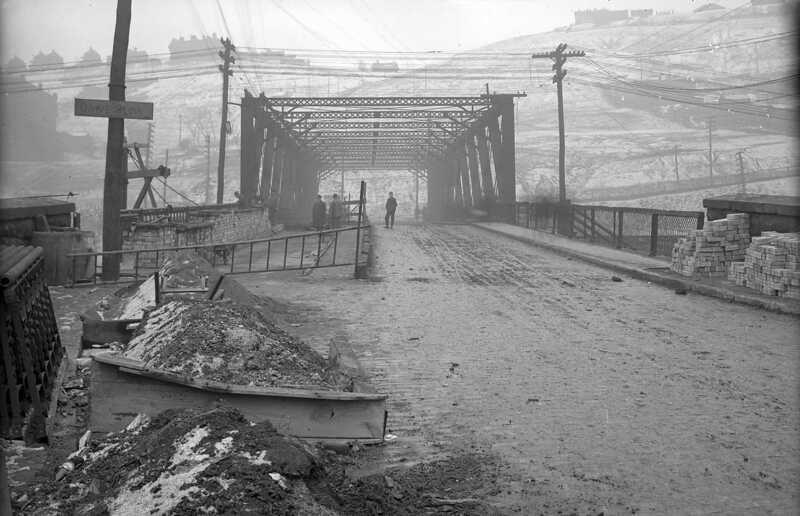 The 28th Street Bridge is actually in Polish Hill, right on the border with the Strip. Polish Hill's northern border runs down the middle of Liberty Ave, and the stretch between 28th and Herron is actually in Polish Hill.